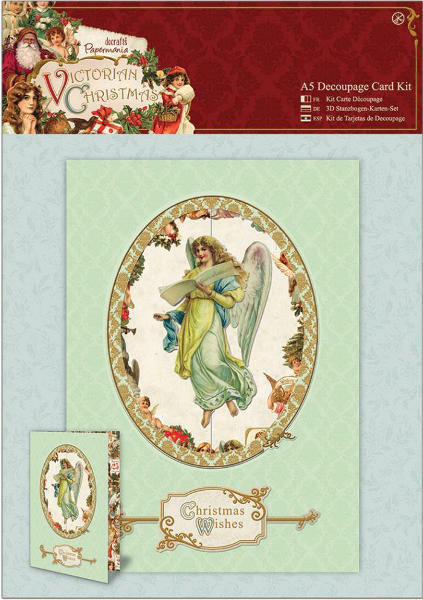 Papermania Victorian Christmas A5 Decoupage Card Kit. Create Christmas cards for any occasion! Build up the decoupage pieces in numerical order and use them along with the extra sentiments to personalize your card. Make one card with plenty of leftover toppers and sentiments for other projects.